Catarina Moura is a Research Fellow from the INL Medical Devices group within the Department of Life Sciences. She is working on a combined microscopy platform integrating Structured Illumination Microscopy (SIM) and Atomic Force Microscopy (AFM) and applying it to answer outstanding questions regarding cellular signalling. Catarina completed her MSc in Bioengineering at the University of Porto, Portugal, and obtained a PhD degree from the University of Southampton, UK, where she investigated the potential of non-linear imaging techniques to characterise skeletal stem cells as a new means to improve diagnostics in bone/cartilage repair and regeneration strategies. Catarina is the author of 7 articles in international peer-reviewed journals and 1 book chapter, and she has received several research awards, including two prizes at the International Nikon Small Work Photomicrography. 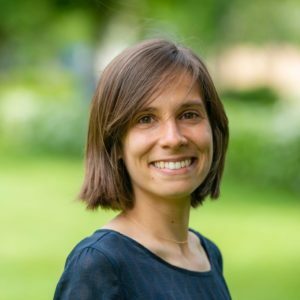 Catarina is interested in making science accessible and fun to everyone, and she has also been involved in several science outreaches and public engagement activities. Catarina Costa Moura, et al. Catarina Costa Moura*, Justyna P Smus*, et al.